So, on Thursday night, I was out with The Cutest Boy Ever. It being Our Second Date, we had Dinner, and then afterwards we wanted to go somewhere for A Drink. I suggested A Trendy, Yet Divey, Los Angeles Watering Hole, mainly because it was right around the corner from where we were. And, also, I enjoy frolicking in Trendy, Yet Divey Los Angeles Watering Holes. So, there we are, Chilling in A Corner Booth, when The Cocktail Waitress comes over and informs us that Our Booth Had Been Reserved. This was despite the fact that there were Several Open Booths. She wanted us to Slide Over, but because we were being all Lovey-Dovey, we chose Another Empty Booth Across The Way, thinking to ourselves, "Who knew you could reserve a booth at a Trendy, Yet Divey, Los Angeles Watering Hole?" 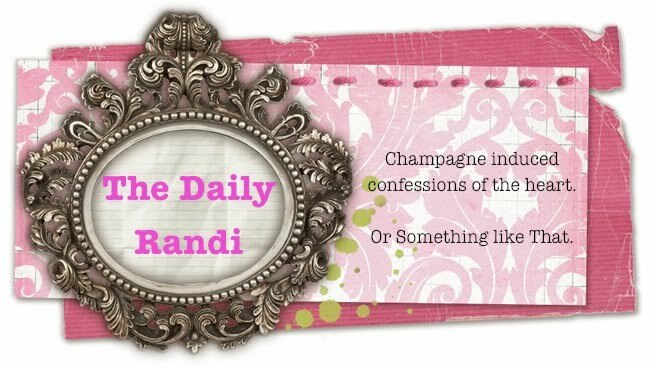 We got back to being all Lovey-Dovey when The Cutest Boy Ever says, "Oh, The Daily Randi! Look at who made 'The Reservation'! It's An Olsen Twin!" Sure enough, I look over and notice Ashley "The Blonde" Olsen with her Cute, Nebbishy Boy-Toy. They were drinking Bottles Of Water, because that is what you do when you go to A Bar. And Ashley was Smoking. Apparently, just as Los Angeles Driving Laws don't apply to Lohans, Los Angeles Smoking Laws don't apply to Olsens! The Happy And Now Fully Hydrated Couple left Not Ten Minutes Later, so really, their "Reservation" was Utterly Pointless. But, then again, so are The Olsen Twins. But, I don't know which I was More Excited about -- My First Official Olsen Twin Sighting, or the fact that The Cutest Boy Ever recognized The Lone Olsen and was Excited, too! It could only mean One Thing: Total Boyfriend Potential.